​They may have struggled for most of the season and currently find themselves just two points and two places above the drop zone, but there is one area Southampton have excelled this season and sit top of the Premier League. The south coast side have scored a league-high ratio 32% of their Premier League goals from outside the box so far this season, netting 11 of their 34 attempts from range. Saints fans will be hoping that run continues this weekend in a vital six-pointer away at Brighton this weekend. The two sides are separated by three points and just one place in the Premier League and victory at the Amex Stadium on Saturday will give Ralph Hassenhuttl's men a great chance of survival. In the reverse fixture between the two sides Southampton's sharp-shooting had given them a 2-goal cushion. However, late goals from Shane Duffy and a penalty from Glenn Murray meant they had to share the points. Despite being so proficient from outside the area, goals have been a big problem for the St Mary's side, with only five teams scoring less than their haul of 34. Three of those teams, ​Cardiff, ​Fulham and Huddersfield find themselves in the relegation places. 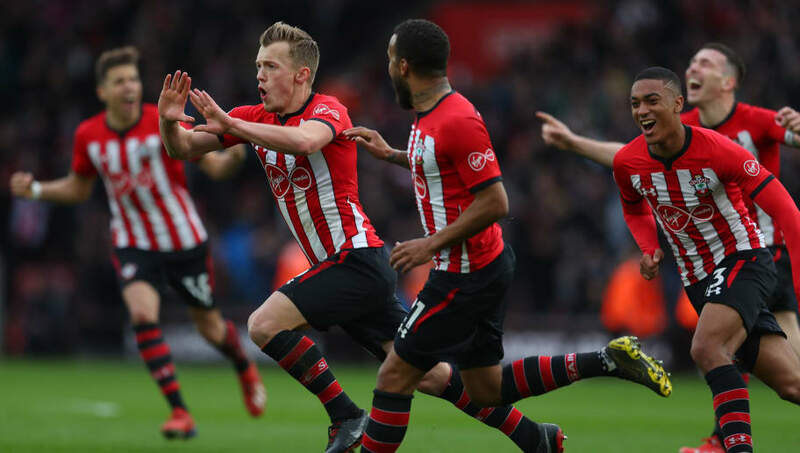 No Southampton player has got double figures this campaign, with Danny Ings their top scorer on eight in all competitions, but James Ward-Prowse, currently on six, is in great form and will be high on confidence having recently been recalled to the England squad. His ability from free kicks is a big factor behind Southampton's excellent record from outside the penalty area. Having not played for three weeks, the hope from all ​Southampton fans will be that they have been practicing their shooting from inside, as well as outside, the box so they can secure three points on Saturday afternoon. Nobody associated to the side will mind how the goals go in, so long as they score enough to keep them in the top flight for another year.